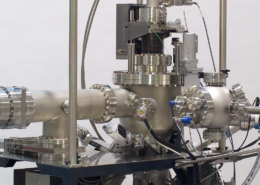 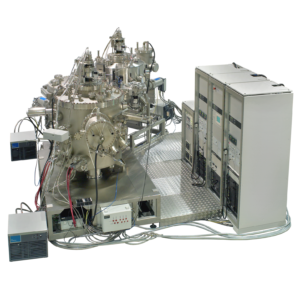 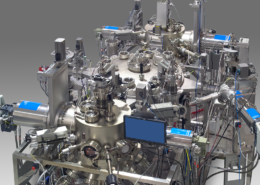 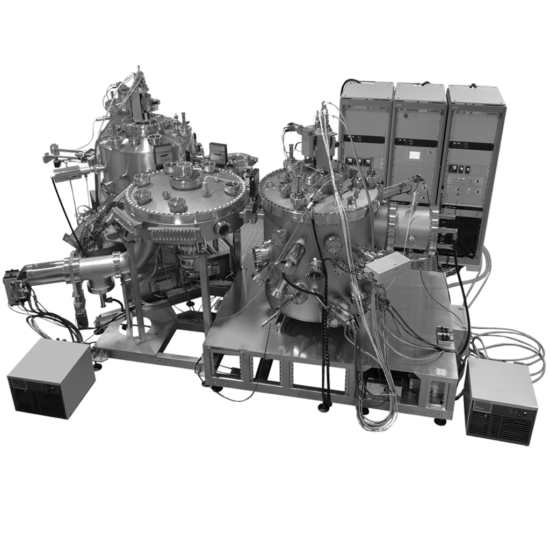 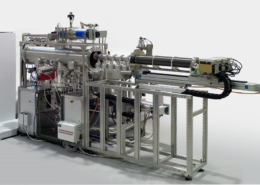 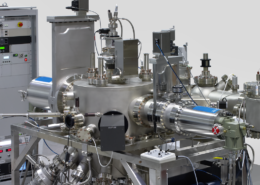 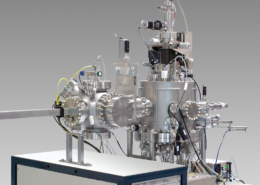 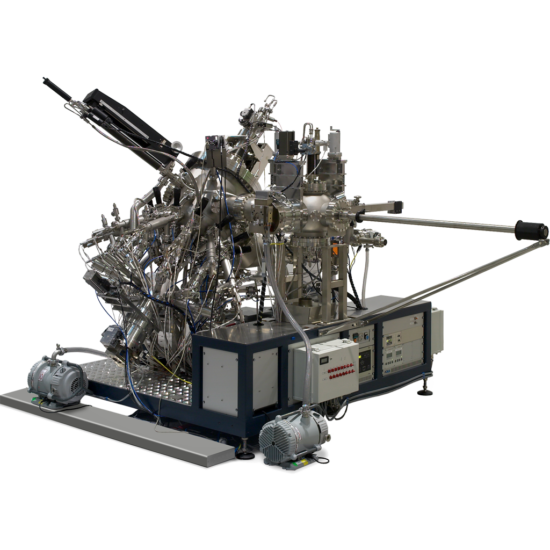 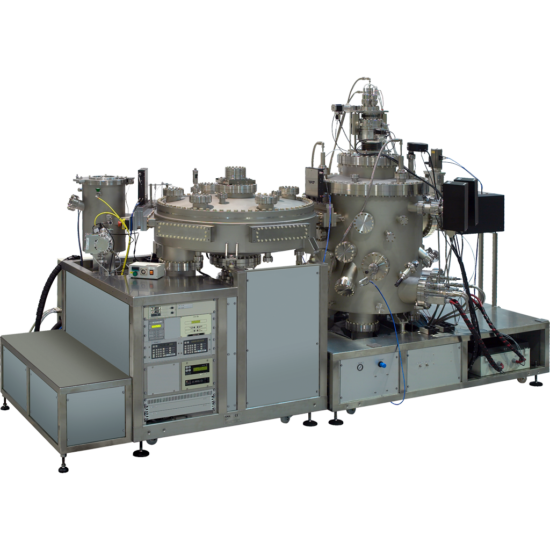 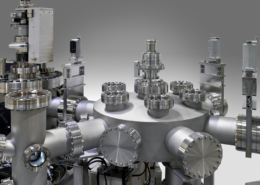 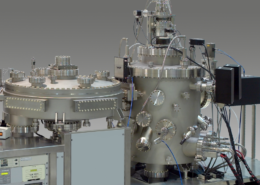 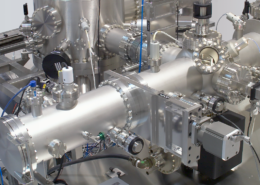 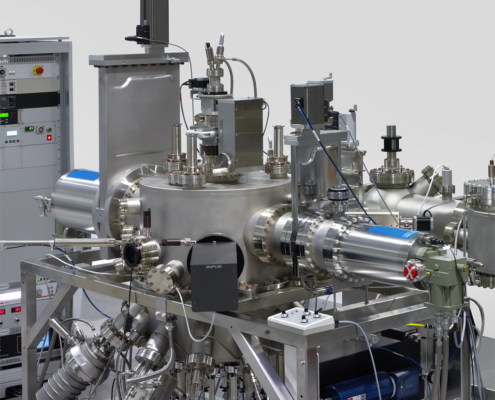 The P600 MBE system is a small scale production MBE system especially designed for the growth of laser structures for optical telecommunication products. 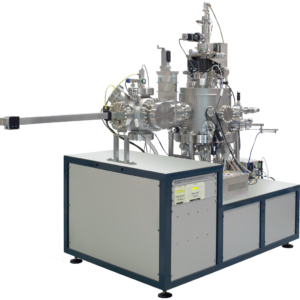 The P600 can be equipped with a manually operated linear wafer transfer system or a fully automatic circular central distribution chamber (CDC) transfer system. 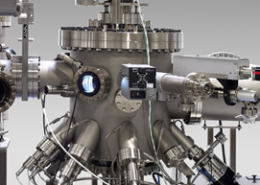 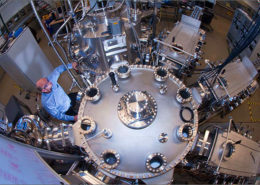 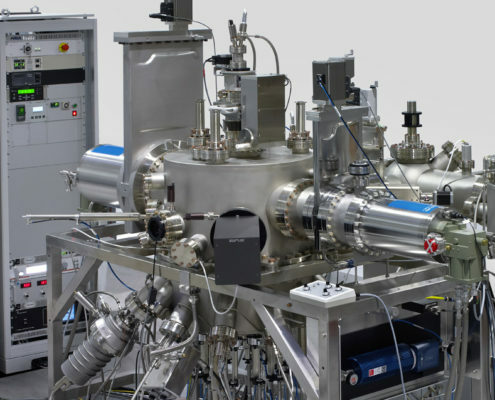 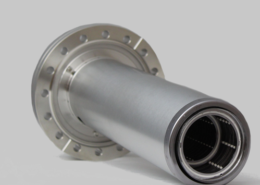 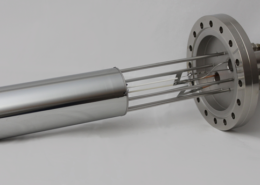 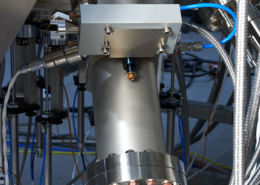 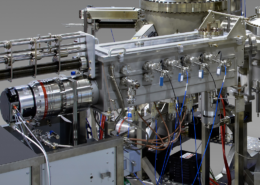 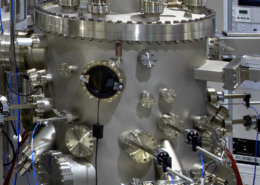 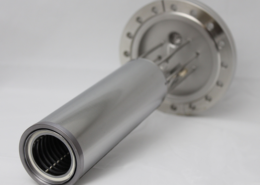 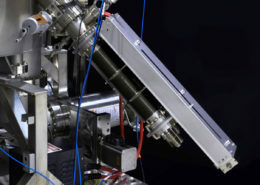 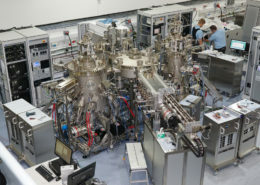 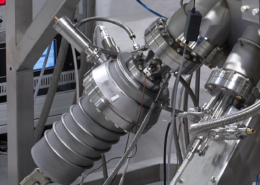 The CDC has connection ports for one or two more growth chambers, cassette load lock, UHV storage chamber and high temperature outgassing and hydrogen clean chambers. 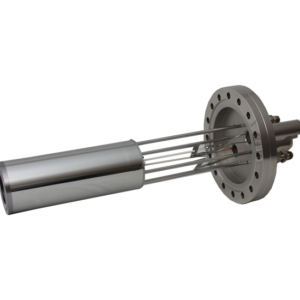 The linear transfer system allows unlimited expansion of the system with additional growth or other process/analysis chambers. 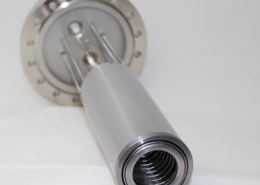 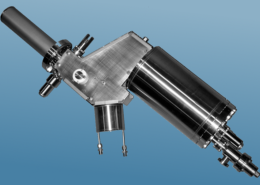 The P600 growth chamber has a removable source flange. 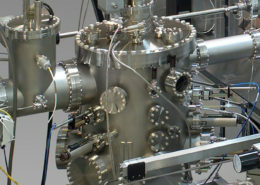 This allows splitting the chamber in to two parts for thorough cleaning of the cryo panels from deposits. 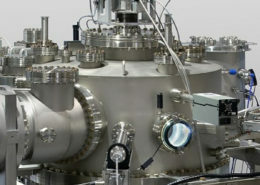 The growth chamber has a very extensive cryo panelling with large volume and surface area. 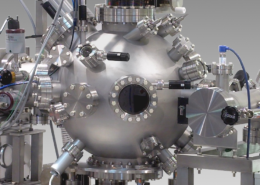 This makes it possible to switch quickly from arsenide to phosphide during growth.